Health Insurance Exchange. Governor Dayton has just signed legislation creating Minnesota's health insurance exchange, which is a significant part of the federal health insurance overhaul. Minimum Wage Increase. Lawmakers appear to be moving forward with House and Senate bills that would increase Minnesota's minimum wage for most employees to $9.95 or tie the required wage to inflation. Currently, employees are entitled to the higher of the federal or state minimum wage. Unionizing Family Caregivers and In-Home Daycare Providers. Unions continue efforts to organize family members who are paid to provide home health care and in-home daycare providers. More information regarding these and other bills that may affect employers and businesses in Minnesota is available from the Minnesota Chamber of Commerce. 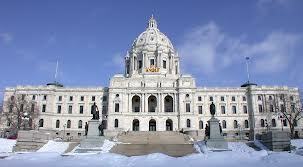 Employers outside of Minnesota will want to monitor their state legislature for bills that may impact them.